Don’t kick it, pass it! 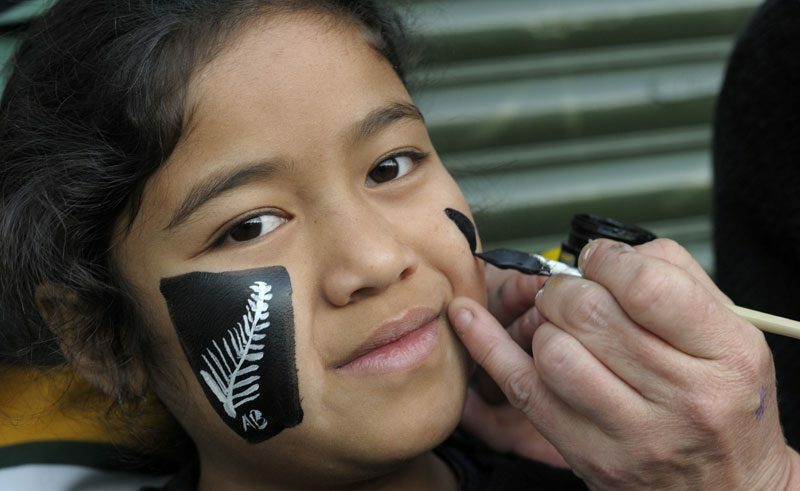 Whether you are a mad rugby fan or not, no doubt you were aware that; Rugby World Cup fever hit New Zealand in 2011. The sport was first established in Nelson in 1870 and New Zealand remains a proud rugby nation, with statistically the best team in the world. And the All Blacks proved this by winning the World Cup! The hosting of this prestigious international event could not have come at a better time – it united a nation still mourning the loss of life and identity in the earthquake that hit Christchurch. Spirits rose and hope was replenished as Kiwis countrywide came together to celebrate their national game, and New Zealand pride prevailed! New Zealanders LOVE their coffee. There is some sort of movement going on, with New Zealand having the most ‘roasters’ per capita in the world. In particular, Wellington has more cafés per capita than New York! It’s not only the coffee, but the fabulous food and café culture that makes this a staple part of New Zealand lifestyle. Many will know New Zealand as Aotearoa, ‘Land of the Long White Cloud’… but what about ‘Land of the Long Flat White’? A list of our favourite coffee hot-spots to tick off on your journey are listed “Downunder”, if you’ll forgive the pun! And don’t forget to look out for a Chocolate Fish to go with your flat white… a fish-shaped sweet with pink marshmallow inside – delicious! New Zealand enjoys a pretty reliable summer and each year locals flock to their nearest winery to enjoy a glass of wine and some delicious cuisine to match. However, the real delight is when one pulls up a deck chair to take in the atmosphere of an open air concert. You’ll need get organised as these tickets do sell out fast as some of the best events include New Zealand’s top musicians and a handful of international stars. Probably the most well-known concert takes place at the Mission Estate Winery outside of Napier. The Mission is New Zealand’s oldest winemaker and the annual event is held in their picturesque setting, with past acts including Eric Clapton, Rod Stewart and Chris de Burgh. However, if you are spending more time in the South Island, there is a fabulous alternative to the Mission Estate Winery, the Rippon Festival. This event probably boasts one of the best seats in the world from which to be entertained by a host of talented performers. The festival takes place on the family run Rippon vineyard that holds a strong connection to the area of Wanaka, endeavouring to keep it a sacred place. You will definitely enjoy a lively, authentic experience. And for the ultimate introduction to New Zealand wine and music, you can’t go past the More FM Winery Tour. Taking you through ‘Real New Zealand’ and away from the tourist haunts, prepare to sample some of the best that the country has to offer you. The line-up features Kiwi legends in the making, as well as some award-winning wineries. New Zealand is a country that relies significantly on its agricultural industries. Traditionally one associates the country with its tasty lamb and dairy products that are exported worldwide, but there is a lot more going on all over the country. Going down to the market early Saturday and Sunday morning used to be about snapping up the best produce for a bargain. But this is no longer the only reason why Kiwis everywhere are visiting in their droves. Markets have become an increasingly popular place to socialise and listen to music as part of the weekend’s activities. 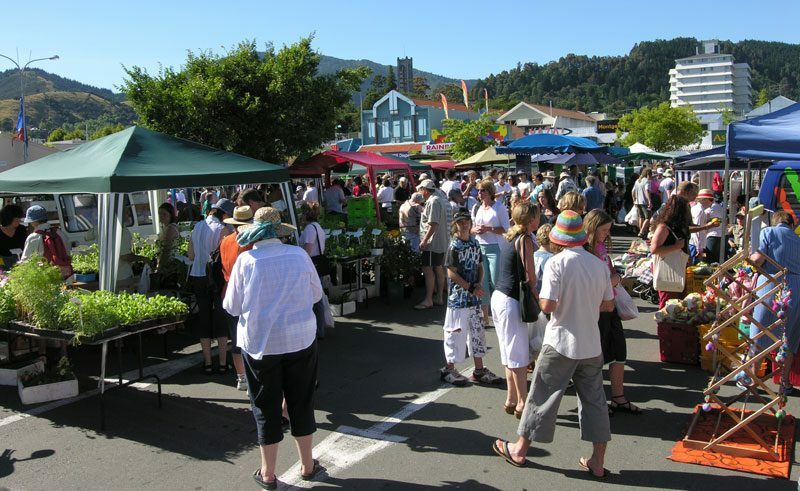 The total number of farmers markets throughout the country has now exceeded 50 and we recommend a selection that fit in with most itineraries around New Zealand. Start with Whangarei, Bay of Islands, Matakana, Oratia, Parnell, journey through to Hawkes Bay, Porirua, Blenheim, Waipara, and then finally land up in Dunedin. It is your chance to rub shoulders with the locals and sample organic produce for a great price. This is a popular saying in Aotearoa and it originates from an advertising campaign for a Kiwi fizzy drink called Lemon & Paeroa, or L&P for short. However this expression has taken on a new life in referring to the so-called ‘Icons of New Zealand’. Some of these icons are well known and symbolise a part of New Zealand culture or lifestyle. They include: rugby balls, cricket bats, kiwi, buzzy bees (a children’s toy), punga shoots, paua shell, jandals (flip-flops), silver ferns, black singlet (vest, representing the farmers in New Zealand), bungy jumping, Edmonds cookbook, no 8 fence wire (representing Kiwi ingenuity), Pavlova (Australian’s didn’t succeed in taking that off them officially) and Footrot flats (a well-known adult cartoon from the mid 70s). However, if you are lucky enough to visit some of the smaller towns on your trip, you may want to stop for a photo opportunity at the following. When in Parora stop at the large Lemon & Paeroa bottle in the centre of town. Take a picture by Taihape’s large gumboot. Near Taupo on the North Island, this town is known as the Gumboot Capital of the World. The gumboot represents the farmers of the local area and promotes their annual Gumboot throwing event held each year on the Tuesday after Easter. In Ohakune, 25km west of Waioru, you will discover a huge carrot. This is to represent the area’s high proportion of the vegetable. Or in Te Puke, there you can find a very large Kiwifruit. You guess it – because the area produces a lot of New Zealand’s famous kiwi fruit! And finally in the very south of the south, in the small town of Gore, you will find a large brown trout. Known as the world capital for Brown Trout (can you spot a theme? ), many keen anglers flock to the Matuara River to go fishing. Festivals – no tent required! As a land much less populated than the UK, New Zealand unsurprisingly doesn’t host a many festivals. However many of the festivals that do run annually have become an institution. As a wine and food lover you cannot miss the Hokitika Wild Foods festival, to which literally thousands of Kiwis travel nationwide to experience. If you think you’re normally adventurous with food… you haven’t seen anything yet! Or for a bit more of a civilised taste of New Zealand’s best cuisine, head to the Devonport Food, Wine and Music Festival. This is a must on the summer calendar for all Aucklanders – involving just a quick boat trip to fabulous Devonport. And who could ignore the unbeatable day out to Toast Martinborough; known only as ‘Toast’ to Kiwi’s. Visit the often over-looked Wairarapa area (near Wellington) for this fabulous event, which really does just keep getting better each year! Finally, if you are venturing down near the bottom of the South Island, make sure you go test out the absolutely delicious oysters at the Bluff Oyster and Southland Seafood Festival. Held in May, over 20,000 oysters are consumed! If you are looking for alternative festivals during your time in New Zealand, experience Dunedin with the locals, as they take part in the Dunedin Fringe Festival. This event features comedy, theatre, drama and music over 10 days during March. Or secure your ticket at one of the hottest tickets of the calendar year in New Zealand – the Montana World of Wearable Arts. Taking place in September, this is Kiwi ingenuity at its best . People create awe-inspiring garments out of materials that one might normally just discard to the bin! And for the history and transport fans out there, a great day out is Wanaka’s superb line-up at ‘Warbirds over Wanaka’, a biennial event which takes place during the month of April. Being located in the Southern Hemisphere, when in New Zealand you’ll be able to see a range of stars that aren’t actually visible in the north, in particular the Southern Cross. This is a constellation that features on the national flag and is the easiest to spot when you are out stargazing. There are a couple of must-visit observatories in New Zealand, the first being the Carter Observatory in Wellington. Get along to their late night opening on Tuesdays and be swept away in this unique atmosphere at the top of the Botanical Gardens. 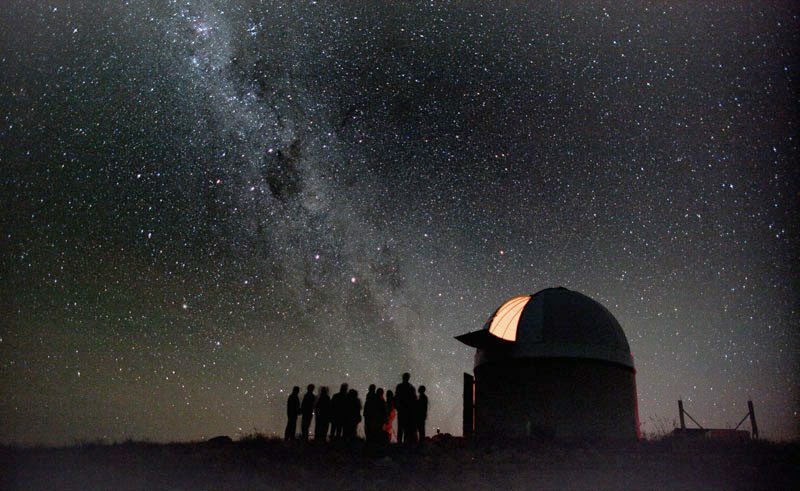 Alternatively, when travelling around the South Island pop in to Mt John Observatory at Lake Tekapo for stargazing at its best! The area is renowned for its sky clarity – free from light pollution, and the mysterious backdrop of the alps makes this visit simply spectacular. Forget the Tour de France, New Zealand is the place to get on your bike! Rugged cliff faces, steep inclines, water drenched off-road riding – this is the stuff that extreme mountain-biking is made of. Although this is possible in New Zealand, you can discover the country in a more relaxed manner along the New Zealand Cycle Trail (or Nga Haerenga in Maori). With numerous routes to choose from that cover many of New Zealand’s stunning landscapes, you can opt for easy through to advanced trails, specific to your ability and fitness level. Celebrity spotting is no longer something you’d expect to do in Hollywood. With its jaw-dropping backdrops and world-class film talent, New Zealand now competes and produces some of the world’s best blockbusters. 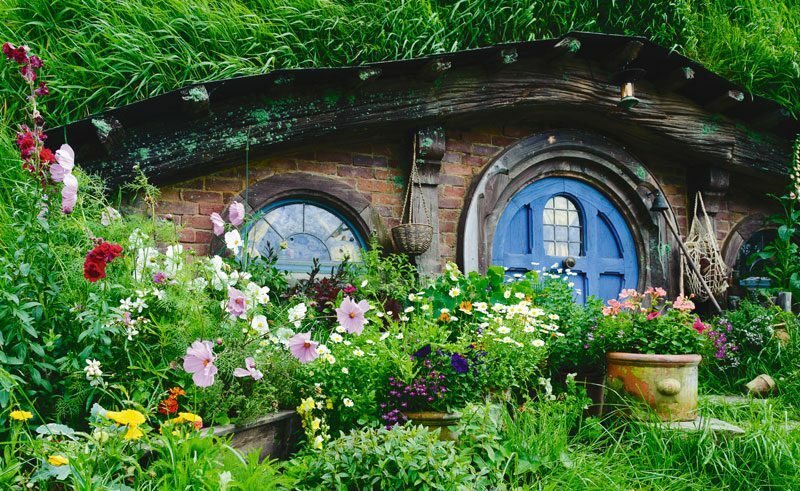 Thousands flocked to New Zealand after the popular Lord of the Rings trilogy, which was filmed in many locations such as the upper Rangitata Valley of South Canterbury, Glenorchy and the Dart River Valley. Or what about the upcoming Peter Jackson film The Hobbit? This is currently being filmed in the rolling hills of Matamata and on the shores of Wellington. When visiting Auckland, make sure you take a quick drive out to Karekare, where on this very rugged coast the Oscar award-winning film The Piano was filmed against this dramatic backdrop. And as you drive south, visit New Plymouth, famous for Mt Egmont (also known as Mt Taranaki), and once home to Tom Cruise during filming of The Last Samurai. However, if it’s an insight to Maori culture you seek get along to the East Cape. The touching tale Whale Rider is about a young girl’s struggle to be accepted by her grandfather chief and is based on a true story set in the small beachside community of Whangara. Next location on our film journey is Wellington. The capital is Peter Jackson’s home and where his Weta film studios are based in Miramar. Here is where he also brought to life a childhood dream – to recreate the legend of King Kong, which he achieved in Lyall Bay and on the Kapiti Coast. And finally, in Invercargill, the town got to know a very down to earth Hollywood legend, Anthony Hopkins, as he played Burt Munro in the film, the World’s Fastest Indian. Visit Oreti Beach and get to know the town in which Burt Munro was inspired in his quest for speed. Check in with the Invercargill Information Center (i-Site) to find out where to look for Burt’s shed and other film locations. How many islands make up New Zealand? There are the main North, South and Stewart islands but do you know something about the many other outlying gems, teeming with wildlife and lush rainforests? Mix up your exploration of New Zealand with a few of our island hopping suggestions below. 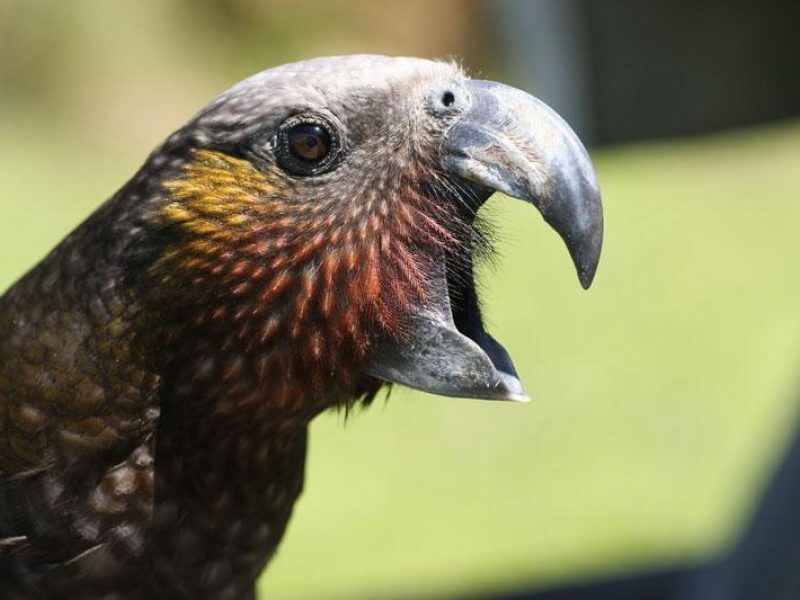 Tiritiri Matangi Island near Auckland is one of New Zealand’s most important nature reserves. Here 60% of the island is covered by forest and the remaining grasslands help butterfly species flourish. 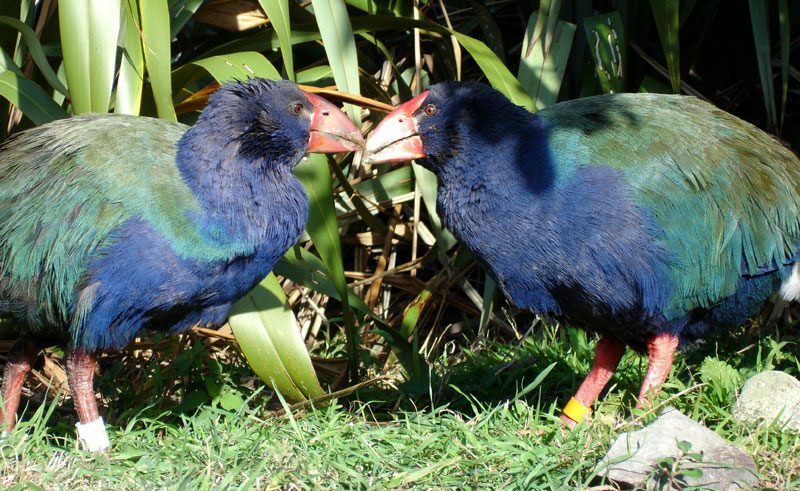 This island is also home to some of New Zealand wildlife royalty – the takahe, kaka, stitchbird, kakako and, if your eyesight is sharp, you can also spot New Zealand’s smallest bird, the Riflemen. Here is where you will also find tuataras – an endangered species and the only living dinosaur left on this planet! Next, it’s off to Kapiti Island, which boasts the world’s largest population of little spotted kiwi and numerous other endangered species. The team work very hard to keep pests away here – this sanctuary is a nature lovers paradise and easily accessed from the Kapiti Coast. Kapiti is where you can unwind amongst native forests with native birds, wildlife and is also a marine reserve. Prepare to be transcended back to New Zealand’s originally untouched terrain. If escapism and a slower pace of life is your idea of a real holiday, then spend some time on Stewart Island. An island where you unwind with a spot of fishing or chatting to the locals out making the most of their surroundings. This is the only place in New Zealand where the timid little ;brown kiwi can be seen in the wild. Or take a day trip over to Ulva Island – to learn about native flora and fauna from a local Maori guide.